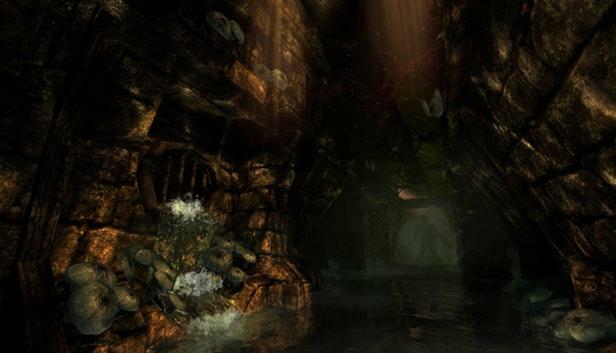 Amnesia: The Dark Descent was one of the first games that really took off on streaming platforms, and has become a title known for eliciting more than one terrified squeal from even the most hardened of PC gamer. Today you can pick both it and its sequel up on Humble Bundle, all for the low, low price of Free (for a limited time). Amnesia: The Dark Descent and A Machine for Pigs are both old-school horror games set in a first-person perspective. Atmospheric lighting, sound and a sense of helplessness elicits very different reactions than FPS faire, and the former especially is now regarded as a classic of the genre. If the sequel is the weaker of the two, well, lets just say that the first installment set the bar very high indeed. Normally £26.99, with a Humble Bundle account you can claim both for free as the Amnesia Collection, granting Steam codes redeemable on the Steam store. This cross-platform title can be played on Windows PC obviously, but is also compatible with both MacOS and Linux if that's your preference. The offer runs until 6pm GMT on Saturday 27th February (10am PST, 7pm CET) so you'd best not dawdle. More information is available at humblebundle.com/store/amnesia-collection.